A New York City woman who disappeared while visiting her mother in Massachusetts was found slain in the woods, according to investigators, and the search is on for a suspect. Vanessa Marcotte, 27, was reported missing after failing to return from a Sunday afternoon jog in Princeton. Her body was found by a state police canine unit about a half-mile from her mother's home. Authorities say her death appears to be a homicide. An autopsy is being performed to determine the cause of death. A law enforcement source says she was found naked and with burns on her hands, her head and her feet. 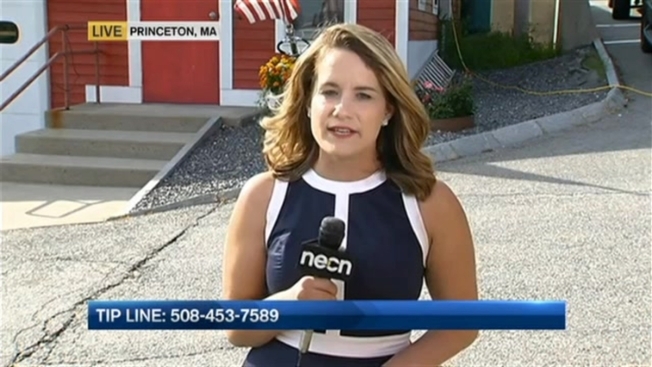 Police are investigating the murder of 27-year-old Vanessa Marcotte, who did not return from a jog in Princeton, Massachusetts. Worcester District Attorney Joseph Early Jr. said authorities don't know if the attack was a random act. "We have a horrible set of facts; a horrible set of circumstances right now," he said. "People should be concerned. We are asking them to use an abundance of caution." Police Chief Michele Powers is urging town residents to remain vigilant. "We are concerned about the safety of our town residents and visitors that enter our town," Princeton Police Chief Michele Powers said. "We would ask people to pay attention to their surroundings." 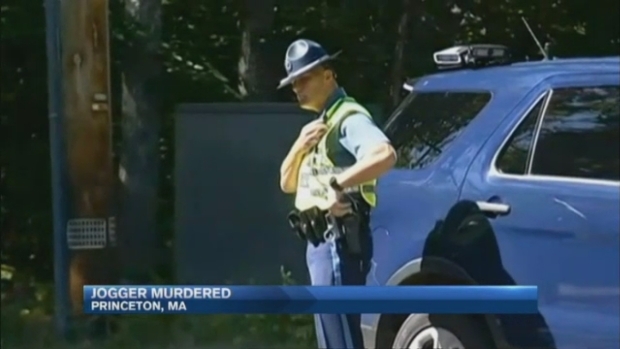 The Massachusetts State Police set up an anonymous tip line for the case. "We are asking for the public's help in finding the person or persons who killed Ms. Marcotte," state police wrote on their Facebook page. "No tip is inconsequential or irrelevant; no matter what it is, please call the tip line, because it may be valuable to investigators seeking justice for Ms. Marcotte." So far, there are few clues in the investigation of a young woman found murdered in Princeton, Massachusetts. Investigative reporter Jason Frazer spoke with a criminologist who revealed how clues could be helping investigators. Anyone with information is asked to call 508-453-7589. Callers will remain anonymous. At a press conference Tuesday afternoon, Early said the investigation remains very active. "We haven't ruled anything out," he said, including the possibility that the murder might be related to the death of another jogger whose body was found in a park in Queens, New York a week ago. "Right now our primary focus is in Princeton, Massachusetts." Like Marcotte, 30-year-old Karina Vetrano was killed while running alone during daylight hours in a secluded area. There is no indication the deaths are connected, but NYPD officials said they are working with Massachusetts authorities to rule out a link. Early said numerous tips have been received through the tip line and are in the process of being investigated. He said he met with Marcotte's family just prior to Tuesday's press conference. "They're devastated over this," he said. Marcotte grew up in nearby Leominster and graduated from the Bancroft School in Worcester in 2007 and from Boston University in 2011. She worked as an account manager at Google, and the company released a statement Monday expressing shock. "Vanessa Marcotte was a much loved member of the Google team, working in our New York office for the last year and a half, and known for her ubiquitous smile, passion for volunteer work and love of Boston sports," the company said. "We are deeply shocked and saddened, and our thoughts are with her family and friends." The Bancroft School also issued a statement calling Marcotte's death "a great loss for the Bancroft community." Town Administrator Nina Nazarian said the slaying has unnerved the town. "I think there is concern out there, but the townspeople are banding together," she said. "It is unbelievable, it is unspeakable," said Betty, who lives next door to the Marcotte home and declined to give her last name. "To have a child who was raised to maturity, who was beautiful, intelligent and kind - it is so heartbreaking." "Somebody who did this, had to be brazen, in daylight," said neighbor Raymond Leroux with a shrug. "Unspeakable." Leroux says his nephew was visiting on Sunday. An avid cyclist, Leroux says his nephew saw a suspicious car and that they reported it to police. Residents are planning a vigil for Marcotte on Tuesday night, "to let them know we're all there for them in any way we can be of help," resident Bunny Bollock said.